I have started a new group on Facebook called "Threadies." 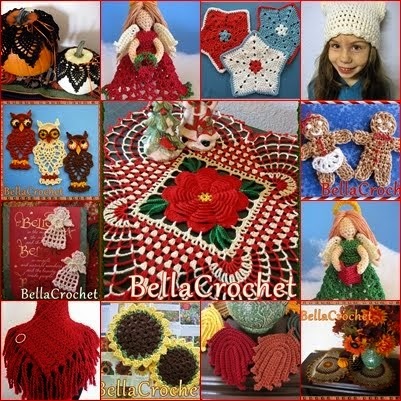 There are a lot of crochet groups on FB, but I was not able to find one that is specifically for thread crochet lovers. It is a place to show off pictures of your thread projects, either finished or in progress, and for sharing tips and resources, and links to your favorite patterns and sites. 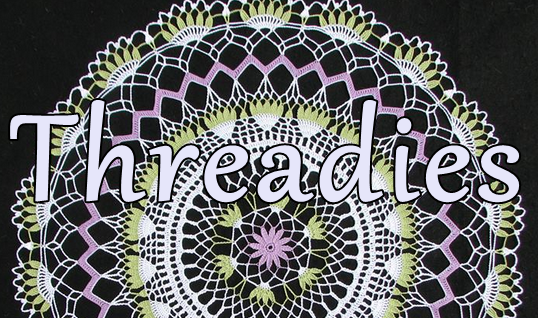 Several of my favorite thread designers have already joined, including Cylinda Matthews of Crochet Memories, Katherine White, and Carolyn Christmas. The talented Pamela Tasny crocheted the gorgeous doily in the photo, and has kindly allowed me to use it as the group photo. I don't want this group to be about me or BellaCrochet, I want it to be a place to celebrate all thread crochet and crocheters. I hope you will join us if you are on Facebook! I am going to be there too!! Hello Everyone, thread crochet has always been my favorite. I learned to crochet at a very early age from my mom. I haven't been using thread lately, as I am unable to hold the hooks. Hoping that after the new year I will be able to afford a new set w/ the larger grips. The only threads I use are size 20 or size 30. And, I have a very large collection of old and newer crochet pattern books.